UofL Triathlon: A New Inspiration. University of Louisville Triathlon is a novelty in the Commonwealth of Kentucky. It finds itself as the newest and only collegiate triathlon club in the state. Despite its pioneer status, the UofL team is trying to follow suit in a state known for a racing heritage that includes the Kentucky Derby, the Kentucky Motor Speedway, and the country’s largest Ironman triathlon race—Ironman Louisville. Comprised of 30 members, this student-operated team is the sister program of UofL Cycling. Together, the cycling and triathlon teams make up a joint venture to promote a healthy lifestyle at the university by competing with other universities throughout the Midwest at the club level. Evan Cruson, the head of UofL Triathlon, is proud of his new team, saying, “This first year was a major milestone.” In its first year, UofL Triathlon competed in five collegiate events in the Mid-East Collegiate Triathlon Conference as members of USA Triathlon and several non-conference events throughout the local area. Members of UofL Triathlon after finishing the Dayton Sprint Triathlon. According to Cruson, finishing a first triathlon is a perfectly achievable goal when striving for a healthy lifestyle. Nursing major and ROTC cadet, Caroline DuPlessis, had been looking for an opportunity to do just that. She said, “I’d always wanted to do a triathlon,” and when she met the team, she signed up for her first race—an Olympic distance event at the University of Illinois in Urbana-Champaign. DuPlessis went on to finish in a blistering 13th place of 66 women. “I loved it!” she smiled, “It was fast paced, but it was still my own race.” She liked it so much she competed in a second triathlon two weeks later. 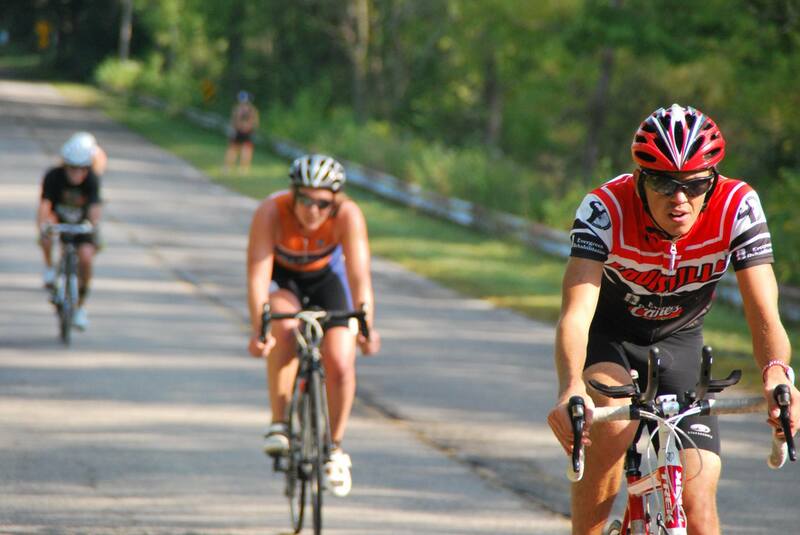 Rikus Van Zyl in the 60k bike leg of Muncie Man Triathlon on Sept. 5, 2015. Nick Reader at the Dayton Triathlon. Reader was consistently one of the fastest runners in the conference. As a discipline, triathlon is unique because it combines three sports. This has allowed members from different athletic backgrounds and diverse strengths to join the sport. Rikus Van Zyl and Jacob Holtgrewe, accomplished track runners in high school finished their first ever triathlons in a UofL Triathlon uniform in 2015. The diversity also defies a male-dominated trend in the triathlon world. Of the 30 members of the team, 14 are women. All the collegiate events are the International Olympic distance, meaning a 1.5 km swim, a 40 km bike, and a 10 km run. However, in 2015 alone, UofL Triathlon had two women, Catherine Benson and Ivy Nguyen, complete the Steelhead Half-Ironman Triathlon, and has had two Ironman finishers, Erik Seibt and John Dickens. 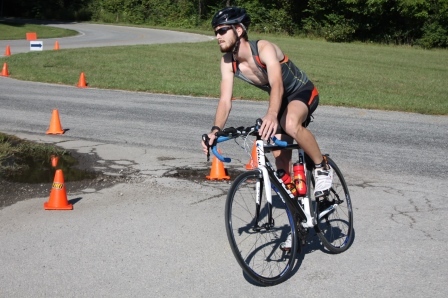 Several athletes from UofL Triathlon have already qualified for the USA Triathlon Collegiate National Championships in Clemson, SC in April of 2016. Baird is primed to earn the organization’s first ever draft-legal berth, an all-star race in which only the best athletes in the country are slotted, and the other members: Reader, DuPlessis, Van Zyl, Nicole Knapp and Emma Coakley, will have an opportunity to represent the Cardinals in the traditional Olympic distance race. 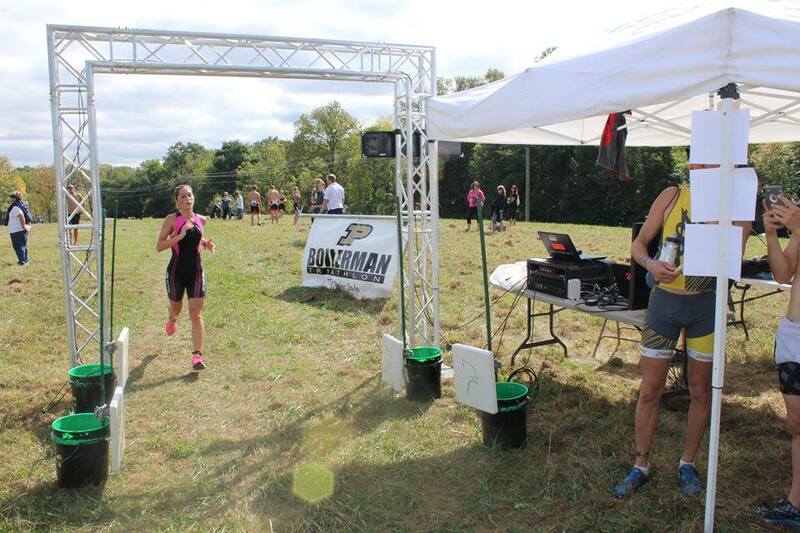 Carolina Ganon crosses the finishline at the Purdue Boilerman Triathlon. To learn more about UofL Triathlon and UofL Cycling, visit UofLcycling.com, Like us on Facebook, or Follow Us on Instagram and Twitter. Edit: Nicole Knapp also completed the Steelhead Half-Ironman Triathlon alongside Ivy Nguyen and Catherine Benson. 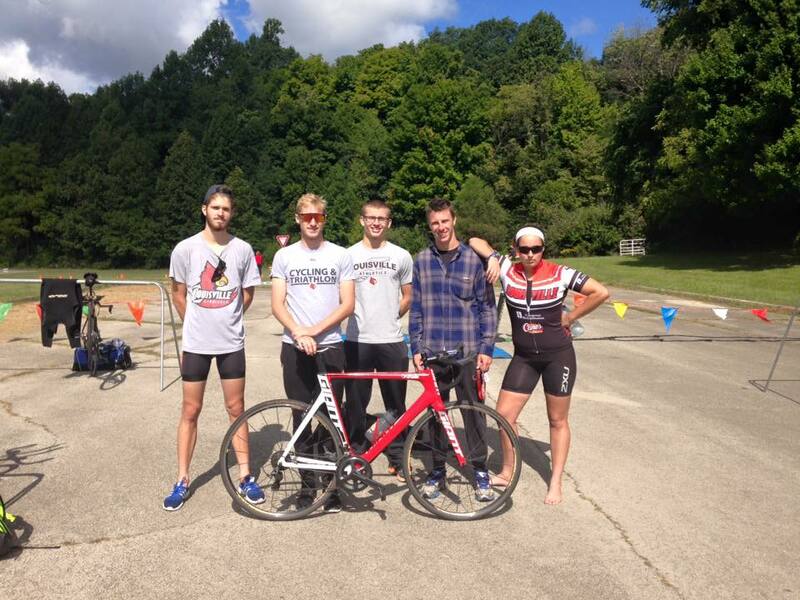 ← UofL Cycling and Triathlon competes simultaneously in 3 cities, earns 3 wins.